Michael Topolnytsky is a learning and development expert who advises private and public sector organizations globally on creating custom learning programs for executives. Michael understands learning as a tool for effecting organizational change and improving the effectiveness of organizations. 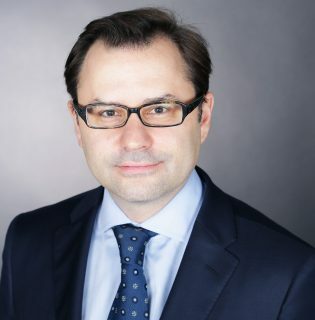 Michael Topolnytsky is adept at understanding the business context that creates a learning need, and designs highly bespoke learning programmes that leverage the best global faculty and digital technologies to embed learning in operational life. His finance, M&A and consulting experience help him articulate the value impact of learning initiatives. Michael has designed, sold and managed leadership programs for senior executives around the world, including Philips Lighting, Siemens, the Razak School of Government in Malaysia, the Skolkovo School of Management in Moscow, and global organizations in manufacturing, energy, engineering, management consulting, and banking. Michael also delivers content in innovation for large organisations and is a certified trainer in Political Savvy, a form of Organizational Intelligence, which assists people in learning to influence people and transform ideas into practice in an ethical manner. Next to his advisory work he teaches innovation and leading change at SciencesPo’s Paris School of International Affairs. He began his professional career with Droege & Comp. AG, a management consultancy in Germany serving clients in tool-and-die manufacturing, energy, rail transportation, banking, and package express services with measurable performance improvements. After completing his MBA from INSEAD in Fontainebleau and Singapore, he joined Mercer’s/Oliver Wyman’s Organizational Change & Leadership Development practice in New York and Munich, working with its leadership team to expand the practice into Canada, France, the UK and Germany. More recently, he led the build out of a global leadership development consultancy for Manfred Kets de Vries. Michael earned his BA (Hon) in Political Science at McGill University in Montréal, Canada with specializations in political philosophy, international relations and economics. Michael is a Canadian with EU permanent residency who splits his time between Paris and Munich. His mother tongue is English, he is fluent in French, German and Ukrainian, and speaks some Czech and Russian.